Do you love foldables? 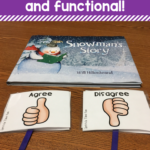 Here is a fun way to use what you have to target a variety of speech and language goals in a fun and motivating way with sorting foldables! 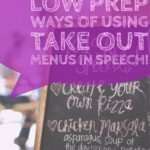 You can either prep before your students come to speech (will only take a few moments), or you can have your students prep the activity themselves as part of the activity! They can make a foldable for themselves or they can make one and quiz each other! 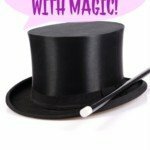 Can you use this activity with mixed groups? Yes!! 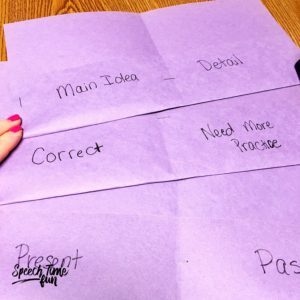 Each student can make their own foldable at the exact same time and create it with their goal in mind!! How can you assemble this activity? It is super easy! 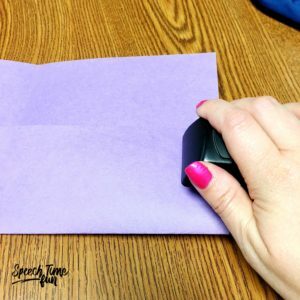 Grab construction paper, stapler, scissors, and a pen! Done! 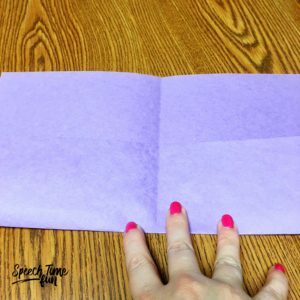 Fold the paper slightly so that it makes a fold. 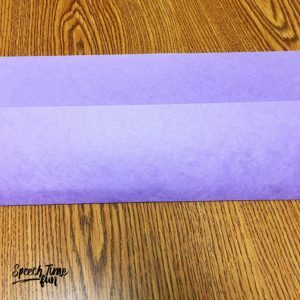 Fold the paper in half to make a crease down the middle. Staple the ends and the middle so that it creates two pockets. 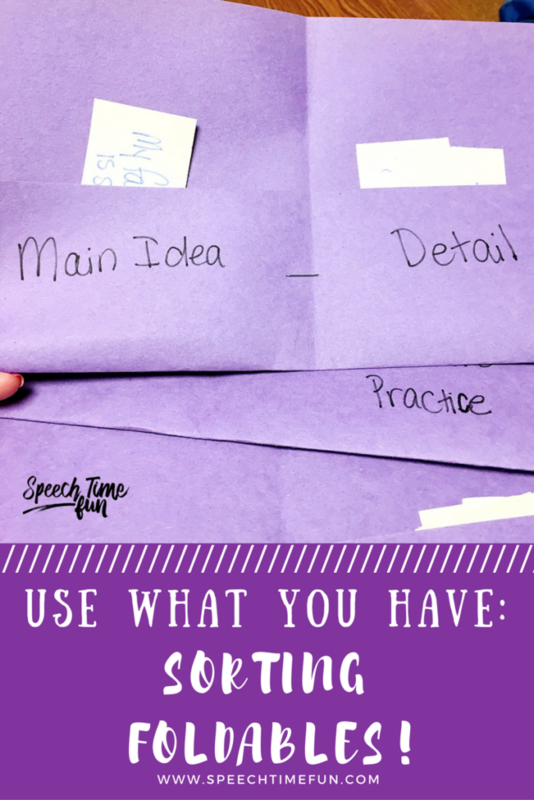 Grab your pen or have the students write what they will be sorting! 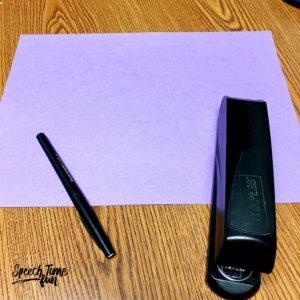 All you have left is to write the items to sort on small pieces of paper! I just cut up another piece of construction paper into small rectangles. 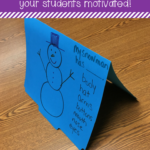 Again, you can write down the item or have the students do it themselves as part of the activity. More practice the better! 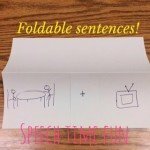 These foldables can easily go into a speech folder or notebook. 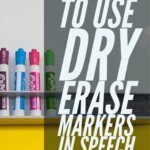 They can be sent home for home practice or used over and over again in your speech therapy room. These are perfect when you are in a pinch and need a quick activity or need to fill time at the end of a session. 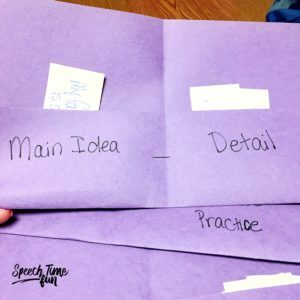 You can make some of these ready to go for a moments notice or use them often as students can make it themselves to work on their goals. 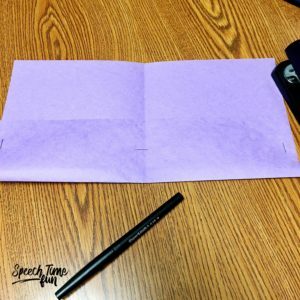 Excited to try out this activity? Share with me the results?! Comment below or tag me in a photo on Instagram! I can’t wait to see how you use it!